This is one of a series of images of Seattle street regrade projects. 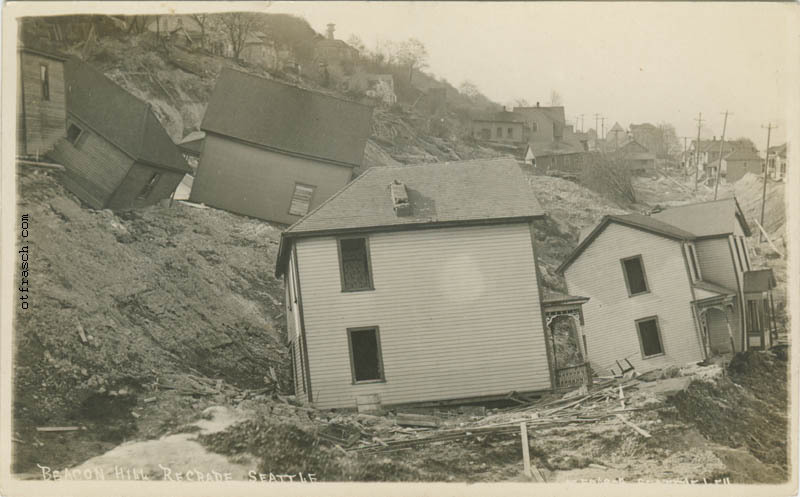 Over a period of years, many of Seattle's hills were washed away or dug out to improve property values. Houses and businesses on the tops of the hills were forced to move, not always agreeably. These houses slid down the side of a hill after the earth below was removed. We don't know if their owners agreed to pay for their portion of the regrade or not. Otto's signature was cut off but is visible in the lower right corner.